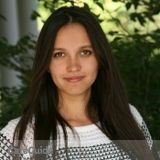 Want to connect with Liudmila? Dear parents and kids))) , thanks for taking a look at my profile. I am looking for 25-40 hours live in caregiver position starting in April, 2019. I live in Toronto but I am willing to move to anywhere within Canada for a good offer. I love spending time with kids and will be more than happy to take care of your children. I have a degree of BA of Edu and also hands-on experience in childcare for 4 years. I have got experience under caregiver programme as well for the last 5 years. I have up-to-date my First Aid/CPR certificate with Canadian Red Cross. I can cook and have experience with Kosher food. I am also able to drive if needed. I truly enjoy being around children and adore them as if they are my own. My additional services can be shopping, housekeeping and pet care. References are available upon the request from the families I have been in the long-term commitments. I look forward to meeting you and your kids! Best regards, Liudmila. Wide Experienced Nanny looking for a Full Time / Part Time job.